Let's explore these variations shall we? Hidden Content Pages and Galleries are a great way to create content that is accessible by Direct URL, but not shown on your website navigation. 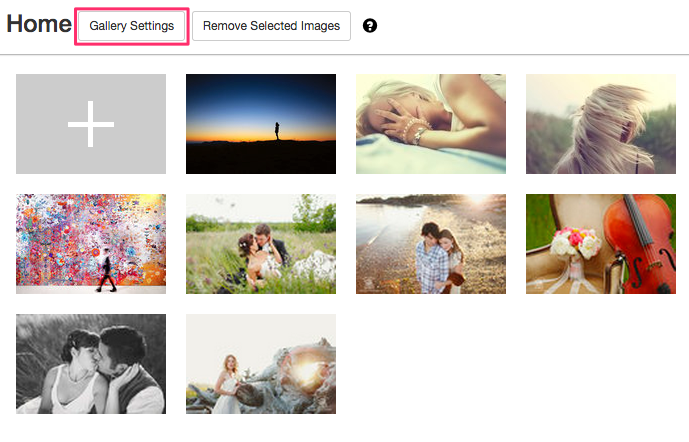 For example, you could create a "Home" Gallery in Hidden Content and configure it to be a slideshow. This setup would allow you to have a "Home" page without actually displaying a "Home" link in your site's navigation menu (a visitor can always click your Logo or Logo Text to return Home). Any Pages or Galleries created or placed within this section, will not appear as links in your website's navigation menu. For all intents and purposes, they are hidden from visitors, and even from search engines as long as you do not post the Direct URL anywhere. The only way to access these pages is through the Direct URL, or by linking to them through an Index Grid. Click the Copy button to copy the Direct URL to your clipboard, so you can paste it into an email or other messaging/sharing application. Pages or Galleries with Password Protection enabled can only be viewed with the correct password. A Password Protected Page or Gallery can exist in either Site Menu Content (publicly viewable in your site's Navigation menu) or within Hidden Content as described above. Check the Enable Password checkbox, then enter a password to access the Page or Gallery. Optional: Obtain the Direct URL by clicking the Copy button, then send the link to your client in your desired messaging application. When that Page or Gallery is accessed on your website, the visitor will be prompted to enter the password, before being allowed access. Note: Passwords are case-sensitive.